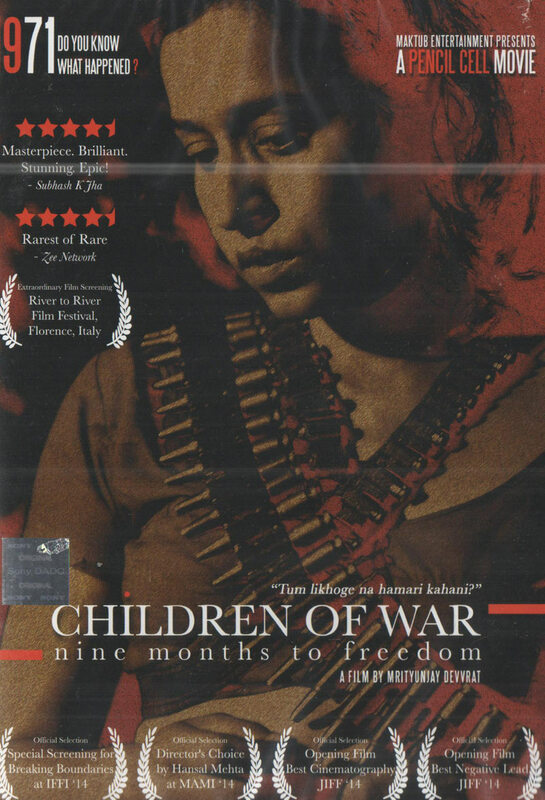 "Children of War, described as ""a true blue epic of mind-numbing intensity"", and not really being a film, but ""a work of art, tempestuous and terrific"", that is ""meant to shake up the international community"" is winning accolades the world over for its unique screenplay and stylistic treatment. Set in the backdrop of the 1971 Genocide, Children of War brings to surface the agonizing tale of the birth of Bangladesh and recreates with nerve-wracking vividness the horrors of the time when a whole civilization was threatened with extinction. It does so by weaving together three distinct journeys of love, loss, infidelity, sacrifice and the undying human quest for freedom. Directed by debutant Mrityunjay Devvrat, Children of War has already been hailed as a war epic and finds itself in an elite list of films like Steven Spielberg’s Schindler’s List, Alan Pakula’s Sophie’s Choice, Richard Attenborough’s A Bridge Too Far, Quentin Tarantino’s Inglorious Basterds, Nandita Das’s Firaaq and Shekhar Kapoor’s Bandit Queen. More details of Children Of War on wikipedia. Original Children Of War DVD released by SONY Pictures comes in 1 disk DVD pack. DVD having 3 Subtitle. While processing the order, we bubble wrap the DVD in its original packing and send it in sealed plastic or carton pack. We don't offer download of the Movie Children Of War, nor we send free poster of the Movie along with its DVD order. We also don't offer free wallpaper or song download of the Movie. Poster and other accessories of the Movie can be purchased separately. 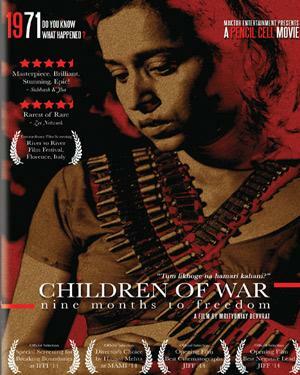 Buy Hindi DVD Children Of War and watch them at the comfort Of your own home. Online shopping Children Of War DVD, Buy Children Of War DVD, purchase original Hindi DVD of Children Of War. Online store to buy Children Of War DVD	, online DVD store india, buy Hindi DVD, watch Hindi movie Children Of War videos online. We don't offer DVD renting for Hindi movies online, Buy Original Children Of War DVD @ discounted and cheapest price online in India.